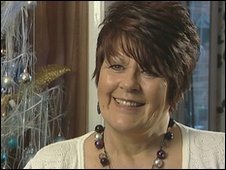 A charity worker from Hull who has helped hundreds of people affected by eating disorders has been recognised in the New Year Honours list. Marjorie Oaten, 56, has become an MBE for voluntary services to people with eating disorders. She set up Seed, a support group for individuals and their carers, nine years ago in Hull. Humberside Police's chief constable, the Canon of Grimsby and a maritime historian have also been honoured. Mrs Oaten, whose daughter was diagnosed with an eating disorder at the age of 10, described opening the letter saying she was to become an MBE. "I opened it and I just cried, I was just overwhelmed, it was absolutely unbelievable," she said. Elsewhere, Humberside Police Chief Constable Tim Hollis is to become a CBE for services to the police. Mr Hollis, a father of three, first joined the police in 1977. He was appointed chief constable of Humberside in April 2005. Arthur Credland, a historian and museum worker, is to be appointed an MBE for services to maritime history. While the Reverend Canon Michael Hunter is also being appointed an MBE for services to the Church of England and the community of Grimsby. Is the New Year Honours list right?